ZHANG Qing is an independent researcher on Android security from xiaomi. 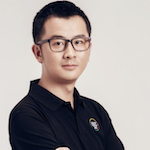 Previously, he was a senior Android security researcher of Qihoo 360 and visiting scholar of Model Checking Lab in National University of Singapore. He currently works as a senior information security engineer of Xiaomi, in charge of account risk control and IOT devices security. His interests include Android security, web security and payment security, specializing in reverse engineering and fuzzing. His work has appeared at syscan360 2016 and Black Hat aisa 2017. In 2016, he won whole year’s first-place prizes in vulnerability detection of some major Chinese companies, such as Huawei, meizu and xiaomi.